Hoshino Resorts Targets Young Adults with Brand New BEB5 Karuizawa in Nagano Prefecture - Travel Freely and Leisurely! Hoshino Resorts will be unveiling the Hoshino Resorts BEB5 Karuizawa on 05 February 2019 and this brand new property aims to free modern travellers from time constraints and obligations. The always-open public spaces within the property will allow guests to tailor their vacation to their personal needs and preferences and it aims to replicate "a night at one's best friend's house" with the beautiful communal space. In recognition of the different travel preferences of people in their 20's, Hoshino Resorts has designed BEB5 Karuizawa to inculcate the spirit of discovery and surprise. Click HERE to find out more about the Hoshino Resorts BEB5 Karuizawa! Unlike the rigid scheduling and constraints of a traditional hotel or ryokan, BEB5 Karuizawa is a laid-back hotel where one can tailor one’s trip however they like. TAMARIBA is a public space that consists of a lounge that is surrounded by a spacious wooden deck - refreshments such as craft beers, original blend coffee, sweets and bakery items are provided here but hotel guests are also free to bring their own snacks and drinks that they discover at any of the unique shops around the local area. 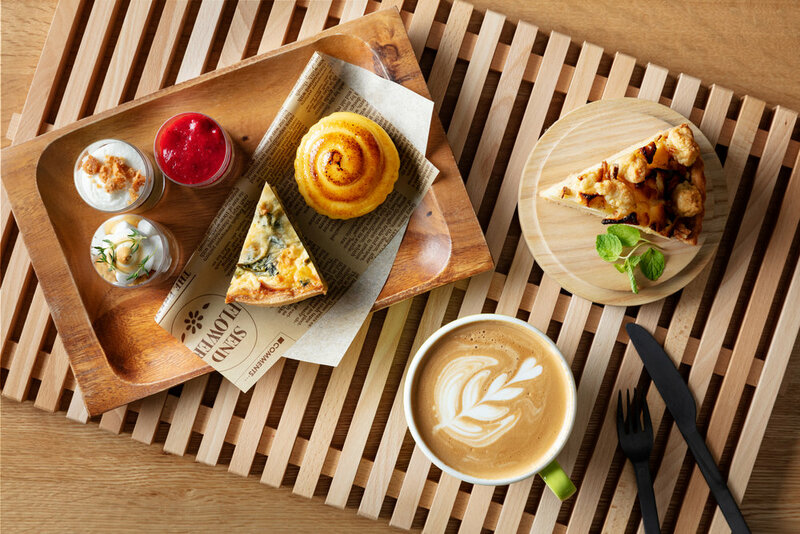 There is also no fixed timing for breakfast so there is no closing time for the café - breakfast is served whenever one wakes up and it can be consumed anywhere. There will also be no prior reservations required for activities on property - guests can participate in activities that they are interested in at that very moment should they feel that it is something they would like to try out. In the tatami-floored YAGURA Rooms, built in the style of traditional Japanese wooden scaffolding, one can kick off their shoes and stretch out without a care in the world, just like in a secret treehouse hideout. Guests staying at BEB5 Karuizawa may also enter the Hoshino Resorts Tombo-no-yu onsen (walking distance from the hotel) for only JPY 500.